Did You Know? Different strains of lab rats see things differently. I attended a Charles River Laboratory Vivarium Symposium and this was one part that interested me greatly. 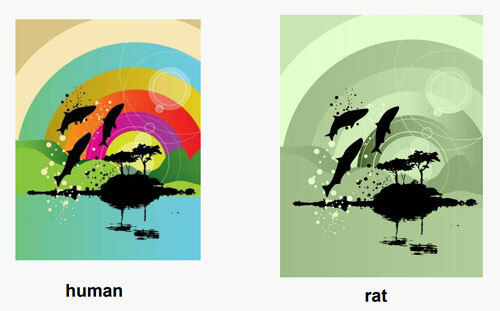 This shows the sight differences in rats and humans. Since they are burrow-dwelling, nocturnal, and crepuscular animals, it does make sense. They are olfactory and auditory rich to compensate for the poor vision. And their whiskers act like a set of finger tips to feel their environment in place of vision. 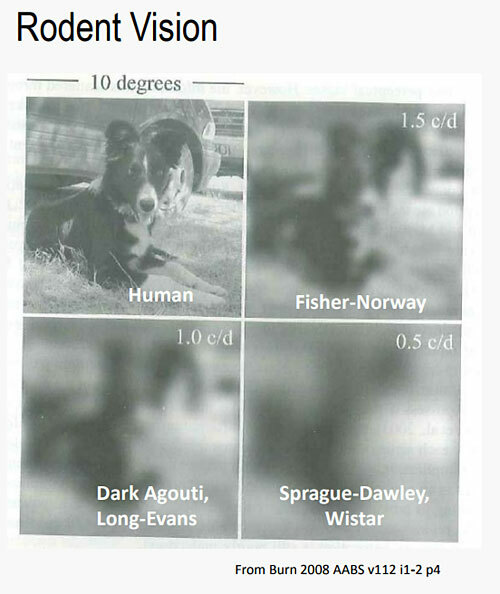 They have the ability to see in the ultraviolet spectrum as well.